Swing guitarist/singer John Pizzarelli talks to Cara Lieurance about his early immersion in music-making at home, which led to touring with his father, jazz guitarist John "Bucky" Pizzarelli. With over twenty albums to his credit, he picks a few cuts from his latest, Sinatra and Jobim at 50, to share with listeners, as they discuss Pizzarelli's upcoming show at Bell's Eccentric Café on Friday, May 18. Michigan's Organissimo and west coast blues guitarist "Little" Charlie Baty are also set to perform. 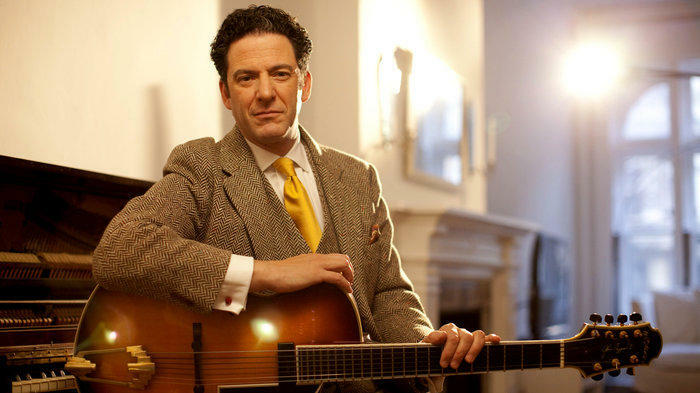 An interview with John Pizzarelli. Both top-notch soloists in their own right, Evan Marshall and Brian Oberlin enjoy coming up with musical duo arrangements that test their abilities and span many styles, from Italian classical to bluegrass and beyond. On Saturday, the Kalamazoo Mandolin and Guitar Orchestra will present the duo in a 7 pm concert at First Congregational Church of Kalamazoo. They'll feature selections from their new CD, Twin Mandolin Slingers. In a session with Cara Lieurance, recorded by sound engineer Martin Klemm, Oberlin and Marshall tell stories about their experiences as musicians who bridge genres, and they play a variety of tunes, original and adapted, for two mandolins. 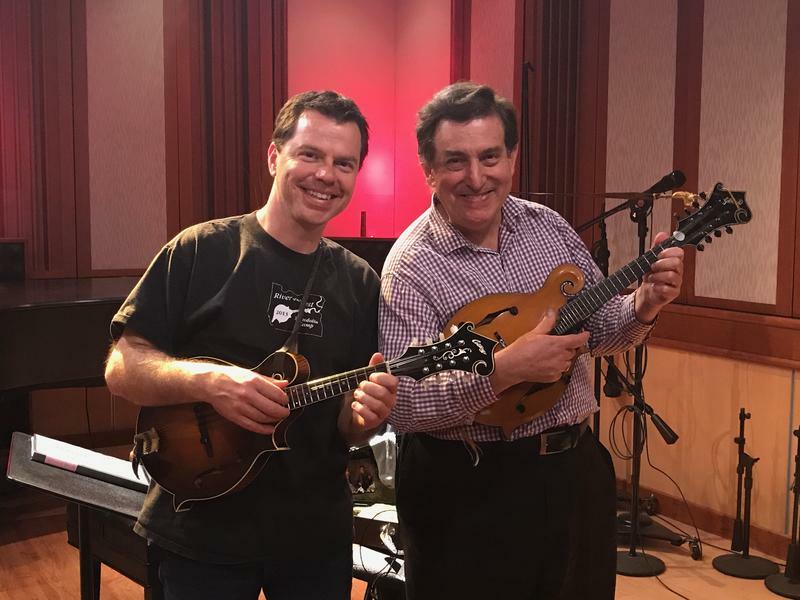 Full session: Brian Oberlin and Evan Marshall perform in the Takeda Studio at WMUK, plus an introduction by Philip Rugel, director of the Kalamazoo Mandolin and Guitar Orchestra.